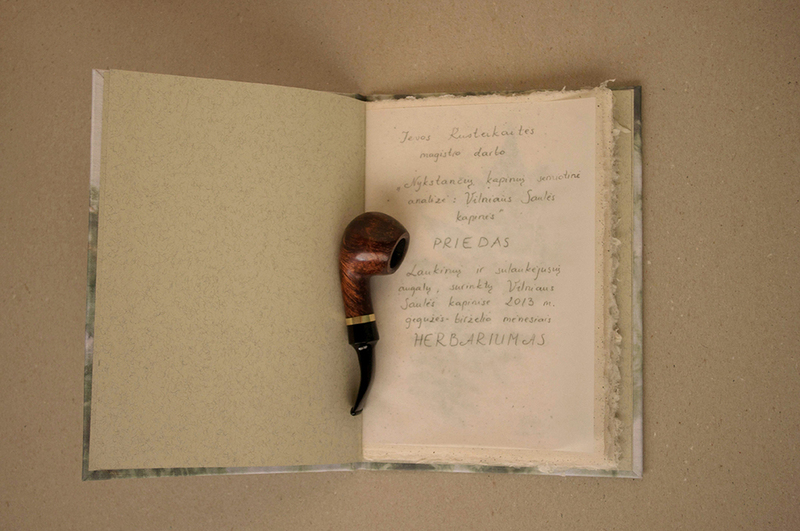 Siberiana also studied at A. J. Greimas Center of Semiotics in Vilnius. 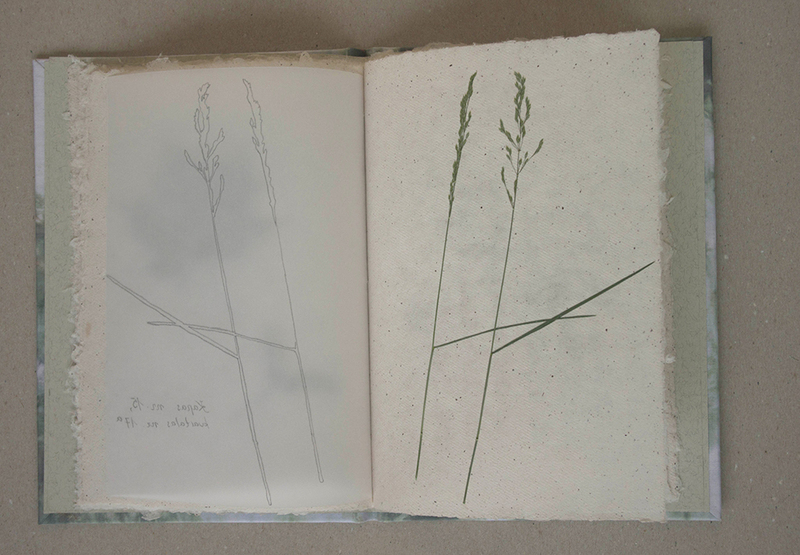 For the master thesis she made a research on partially abandoned XIX century Saulės cemetery in Vilnius where she focused on the distribution and semiotics of the space. 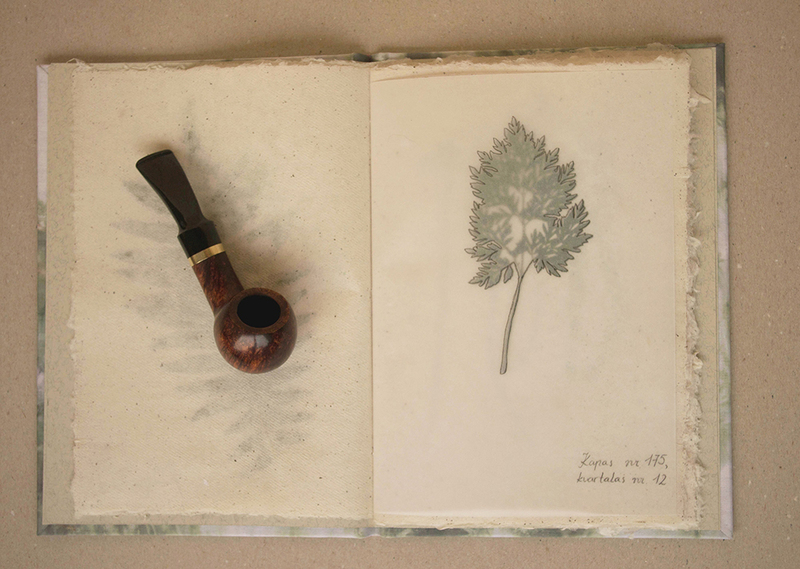 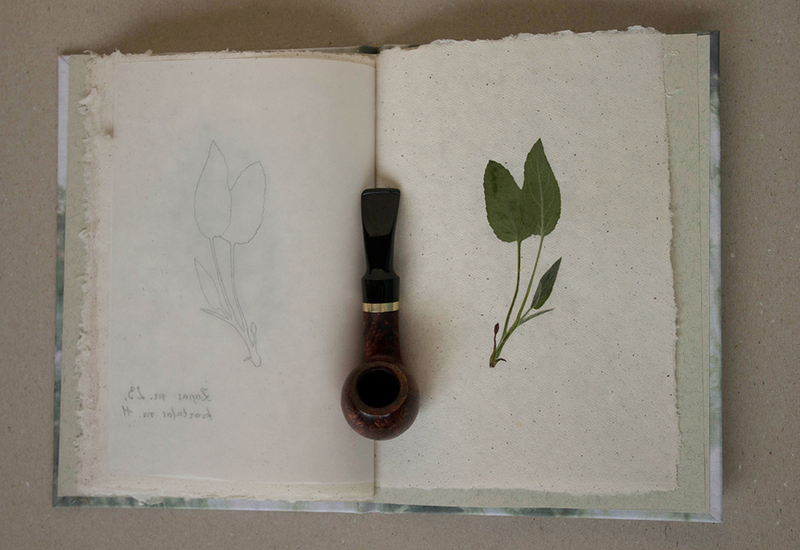 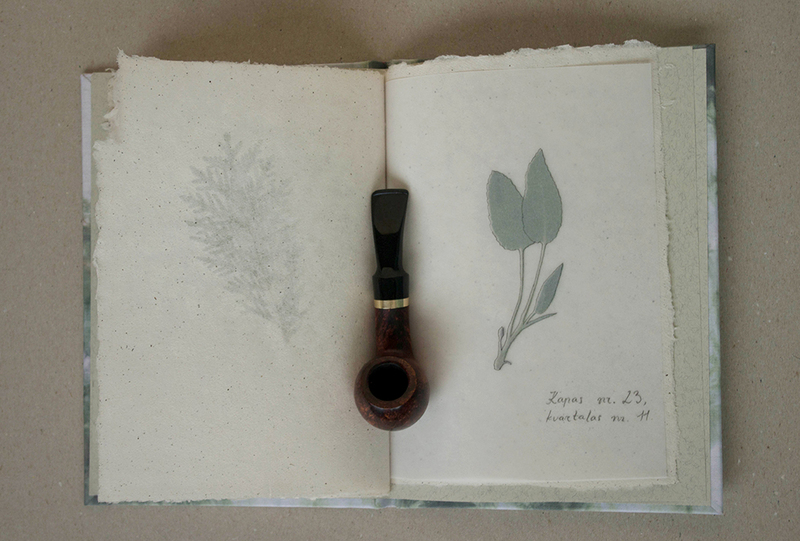 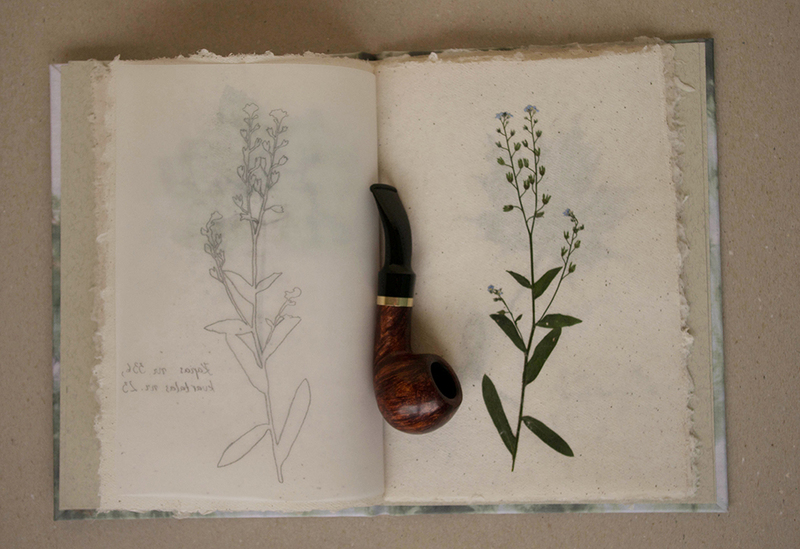 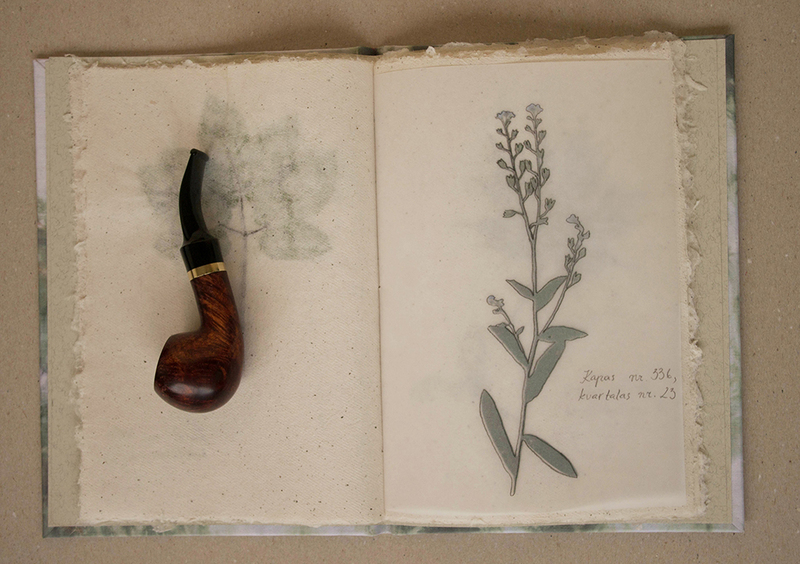 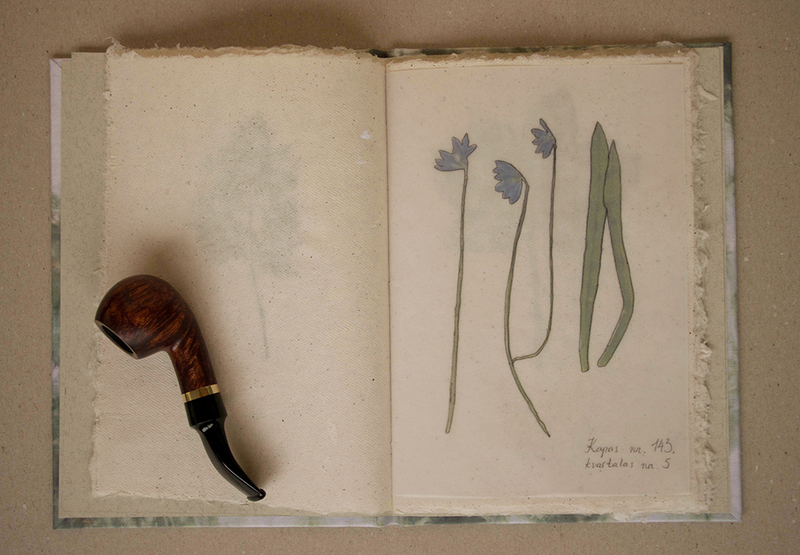 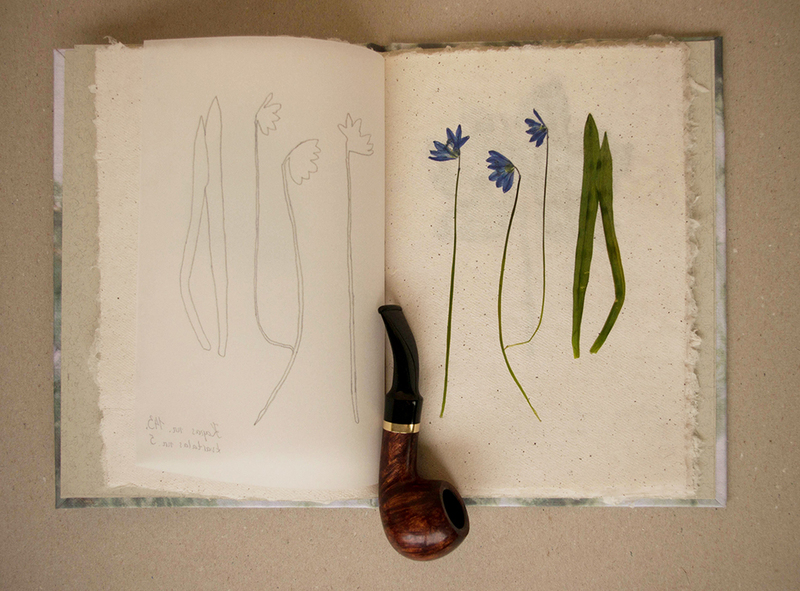 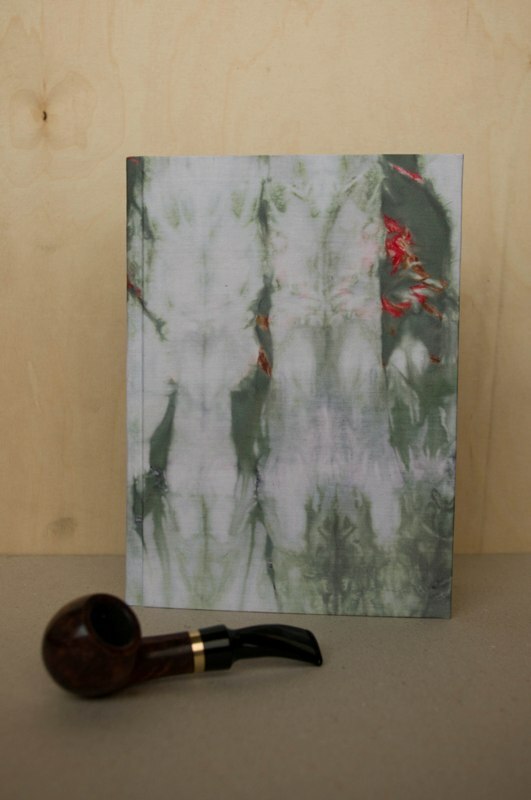 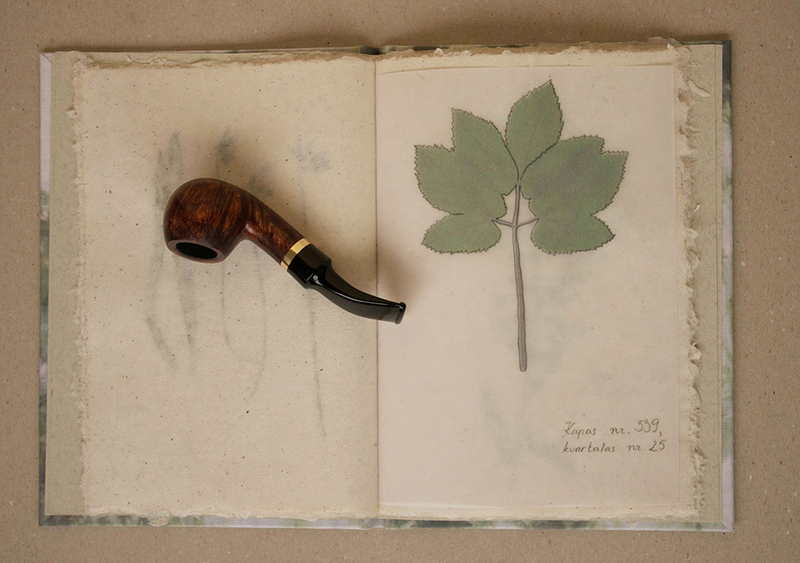 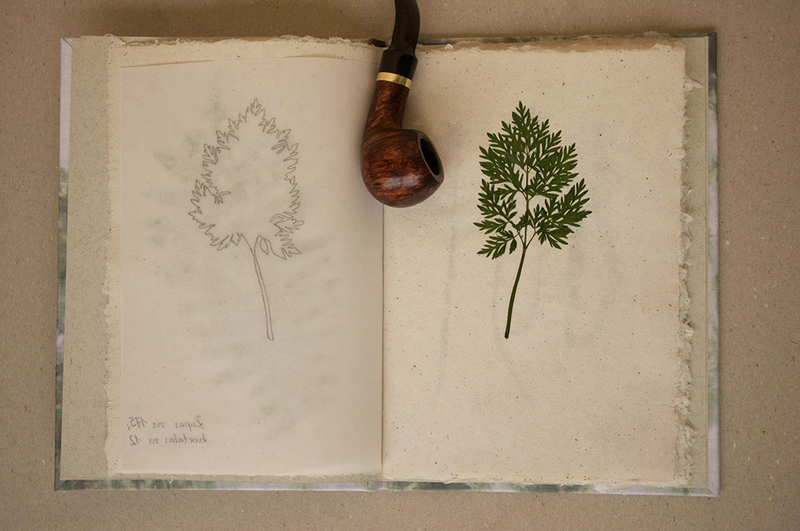 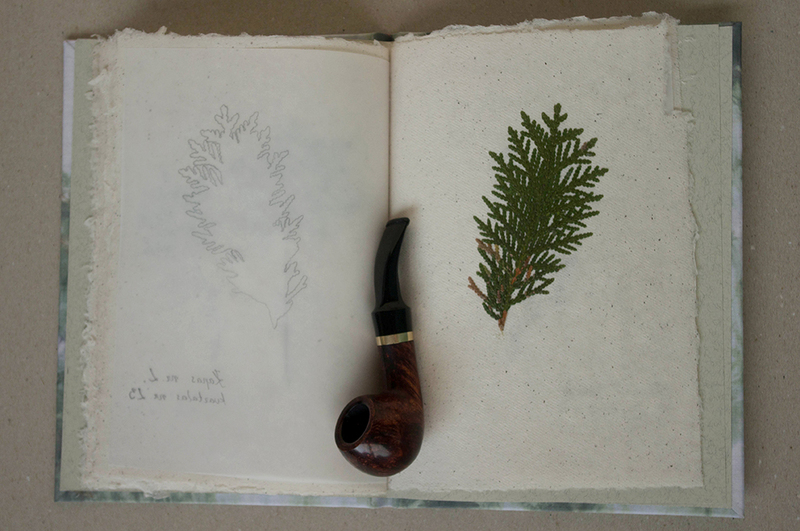 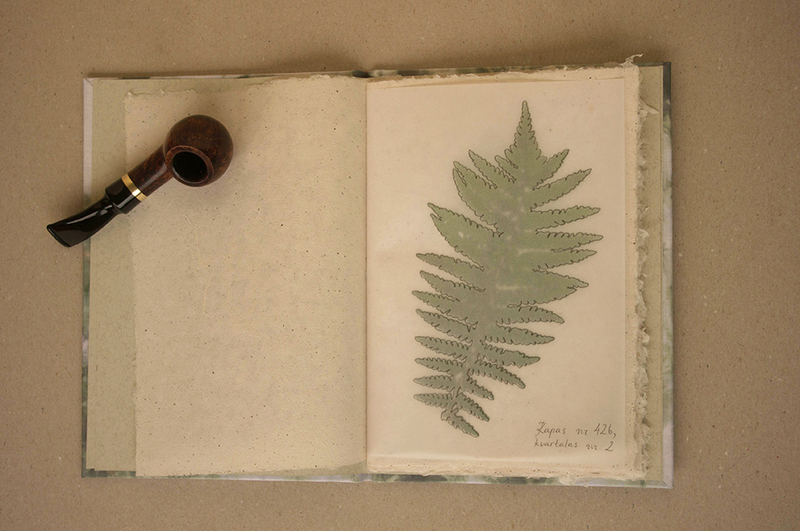 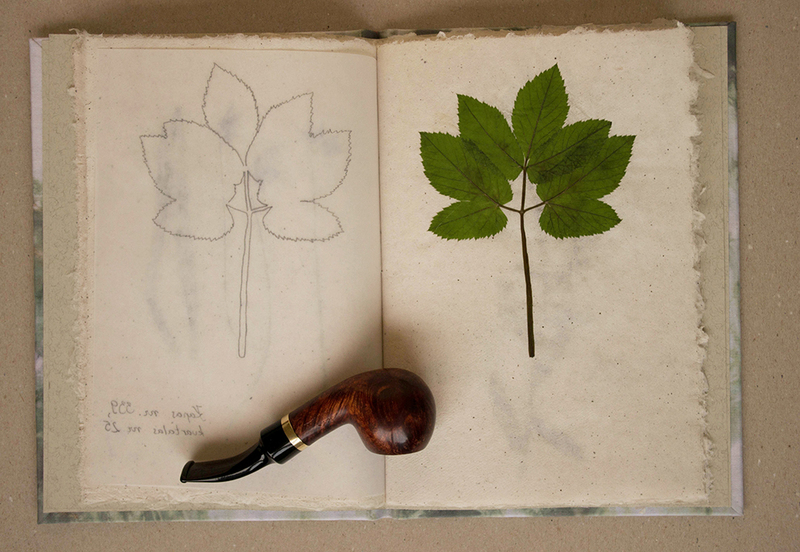 The work has an appendix called Herbarium of the Plants Collected in “Saulės” Cemetery in Vilnius During the Months of May and and June of the Year 2013. 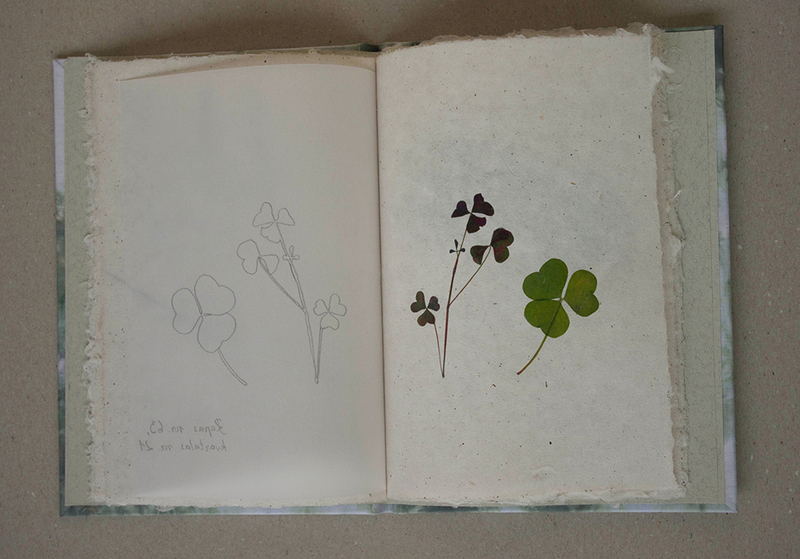 Every page contains one sample of a wild plant, all taken from different places of the cemetery and it’s graves. 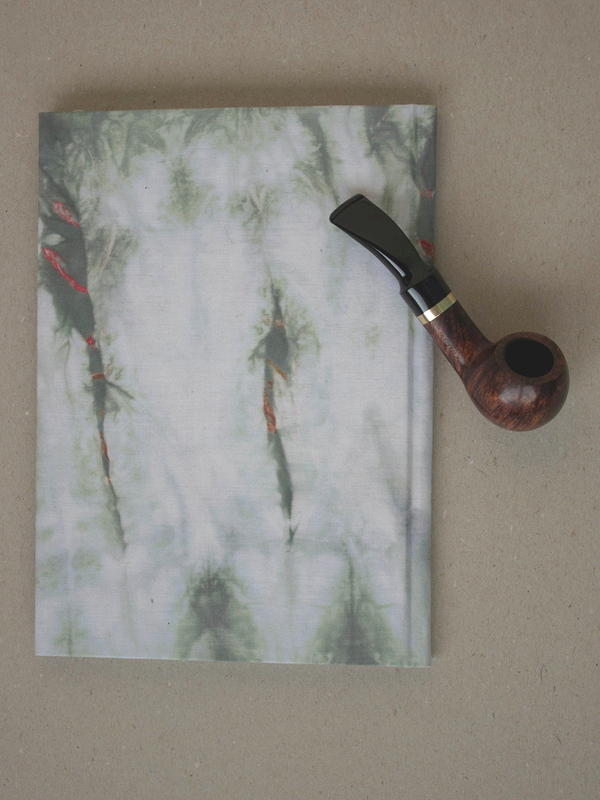 The cover was made of the tie-dyed cotton fabric. 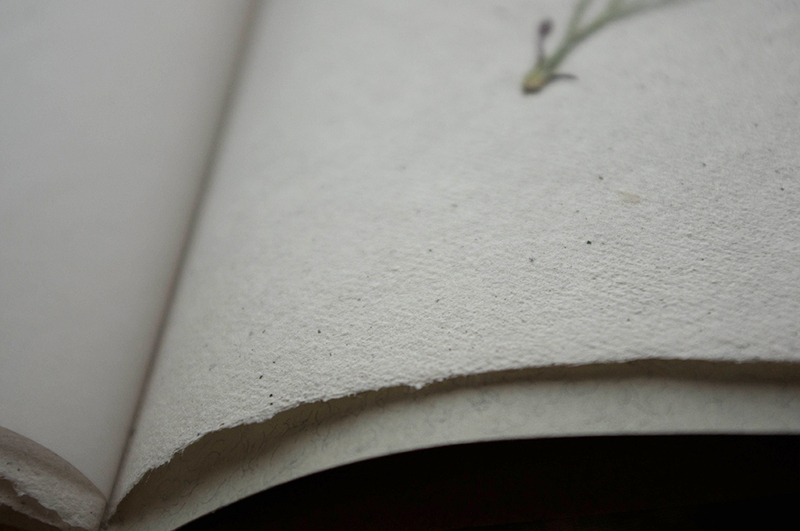 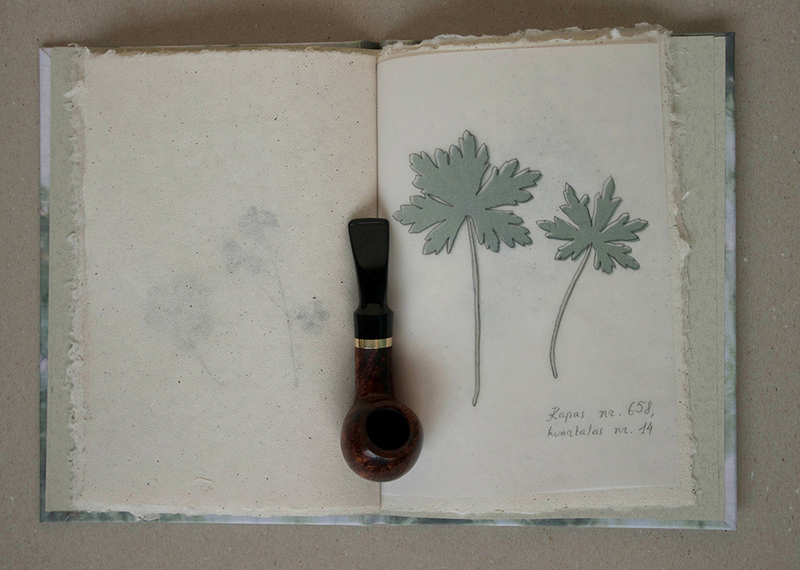 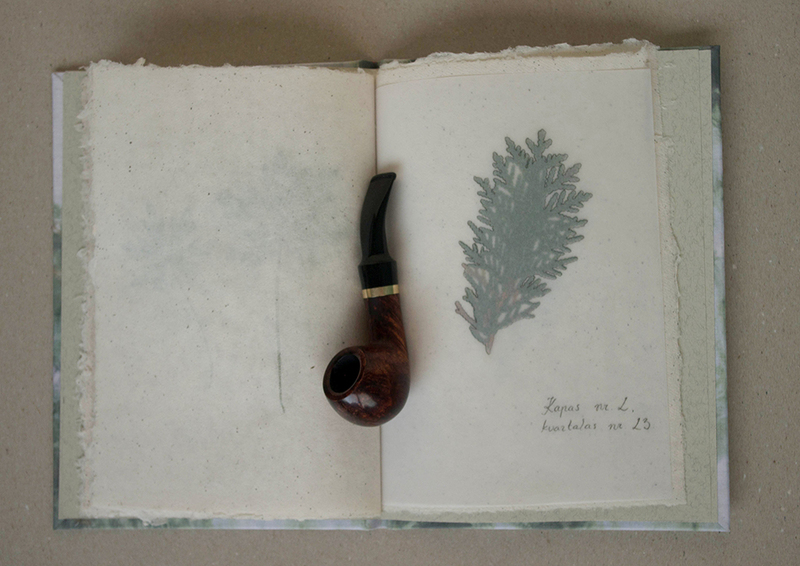 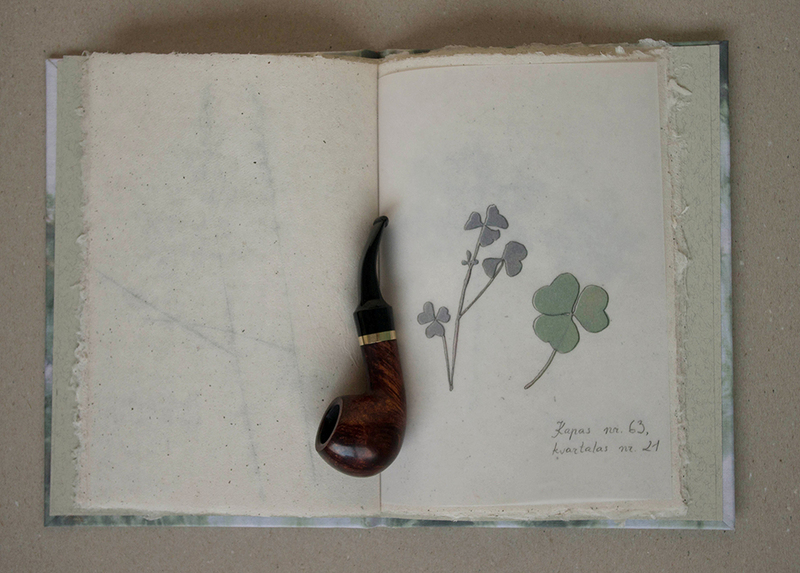 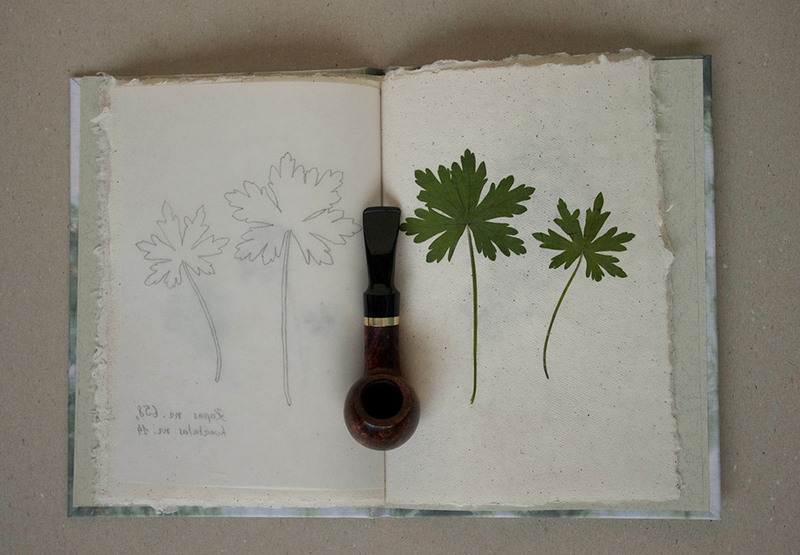 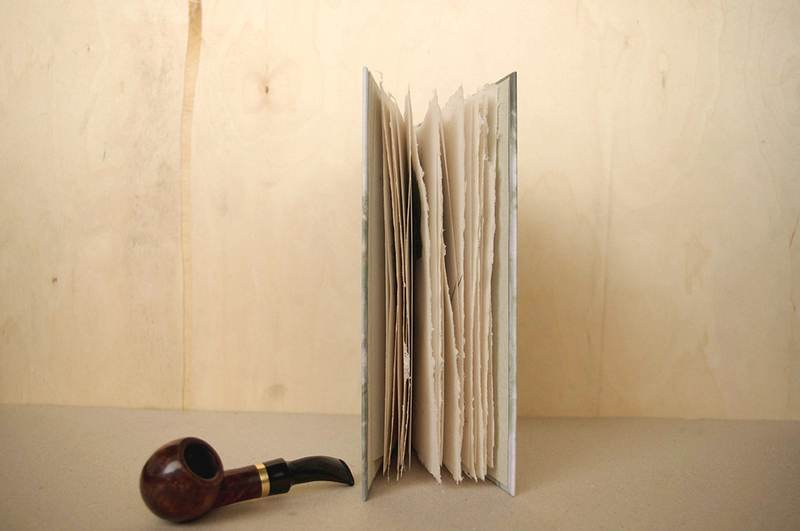 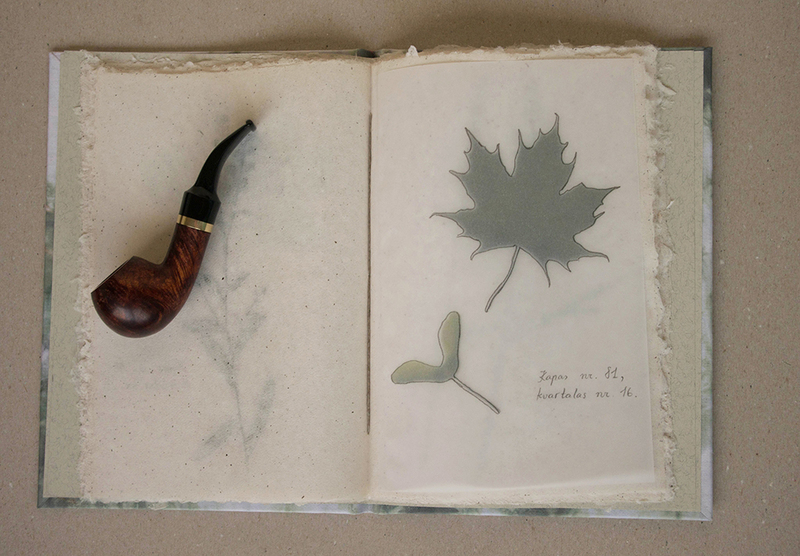 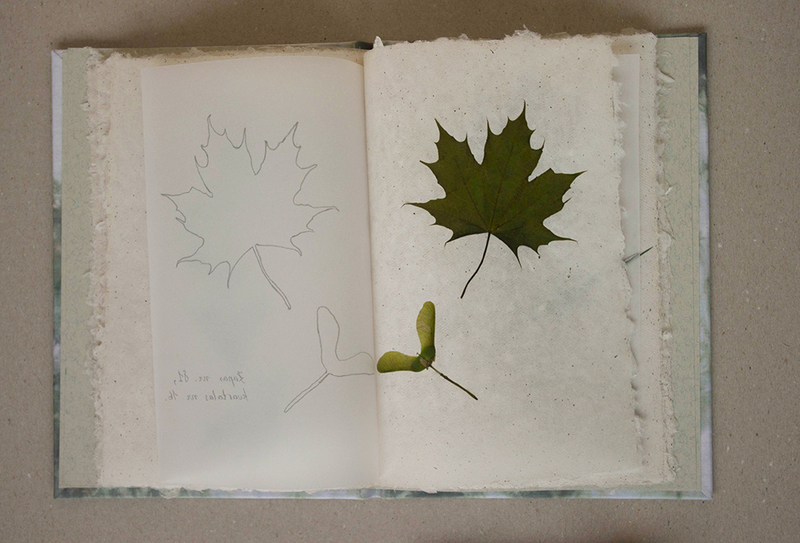 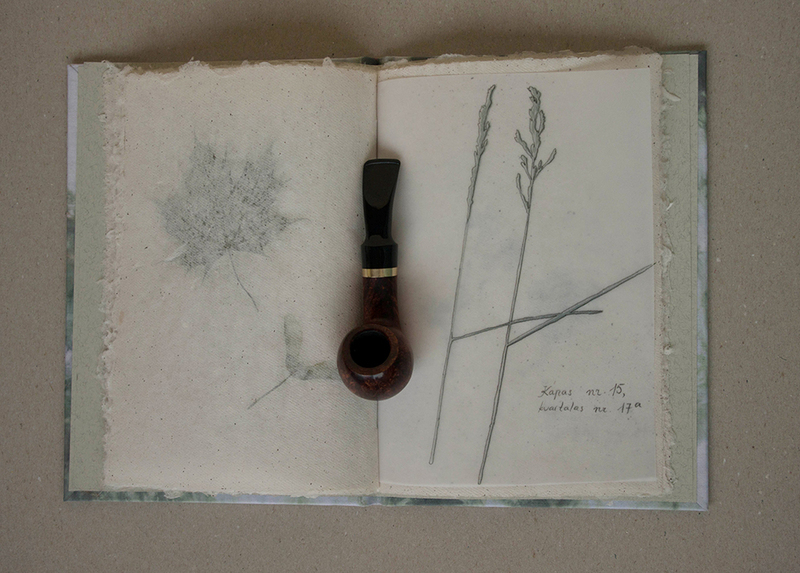 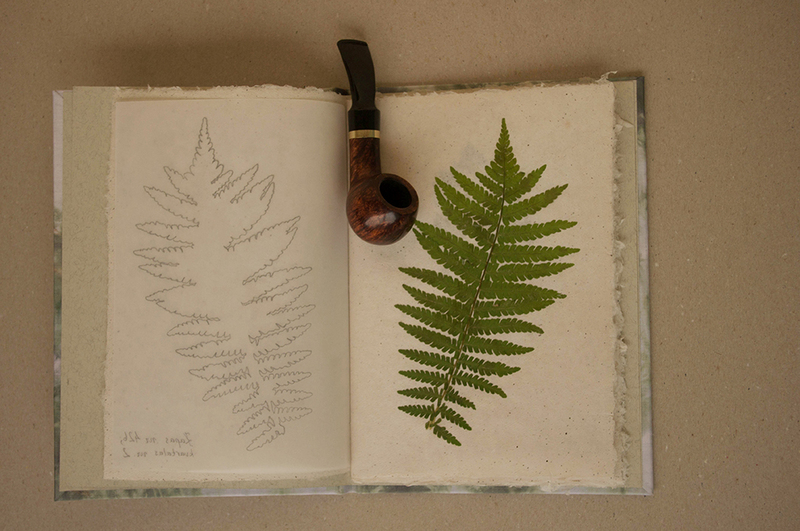 Pages are made of handmade cotton fibre paper slightly dyed by black tea.